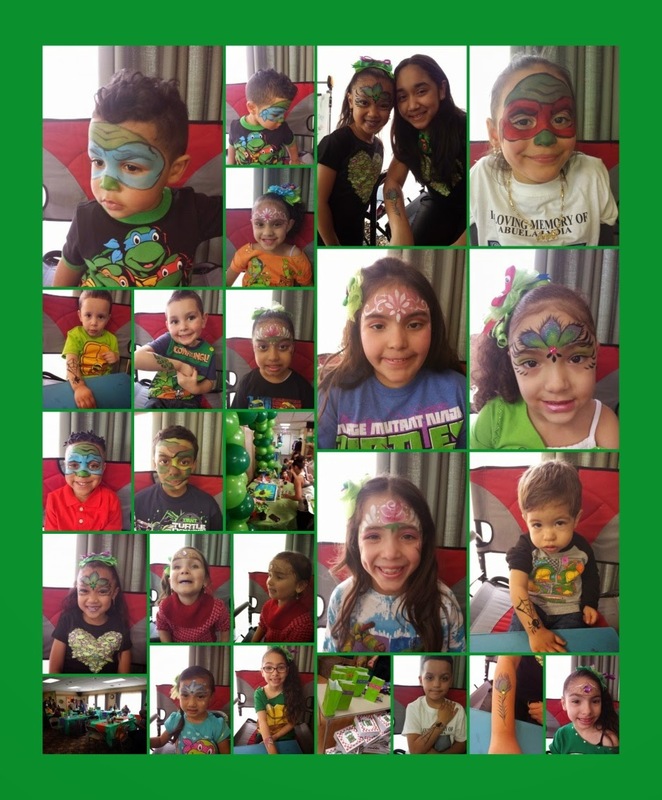 Fancy Faces of Rochester: Ninja Turtle Party! I love getting to see all the different themes at parties. This one was Ninja Turtles. The decorations were great! The people were so friendly. So much fun to be there. Most of the kids had Ninja Turtle t-shirts on, and the girls had adorable turtle hair clips. I wish I had gotten a picture of one. I got pictures of all the kids that were painted and a few of the party venue. I was told afterwards that they are a big family and have lots of parties and would probably have me back again. I would love that!